Cross & Associates Manufacturing Inc.
Cross & Associates Manufacturing Inc. (CAM) is a precision machine shop located in Ottawa, ON, Canada serving the High Tech sectors including Defense, Telecommunications, Bio-medical and Transportation. 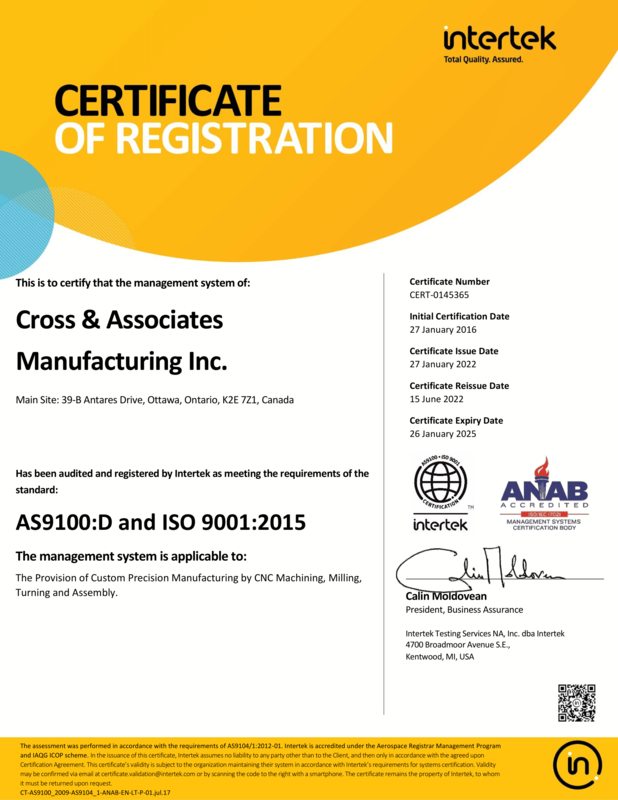 We are AS9100D as well as ISO 9001:2015 certified and registered with the Government of Canada Controlled Goods Program. CAM manufactures precision components from aluminium, steel, stainless steel, titanium, brass, copper, plastics as well as castings.